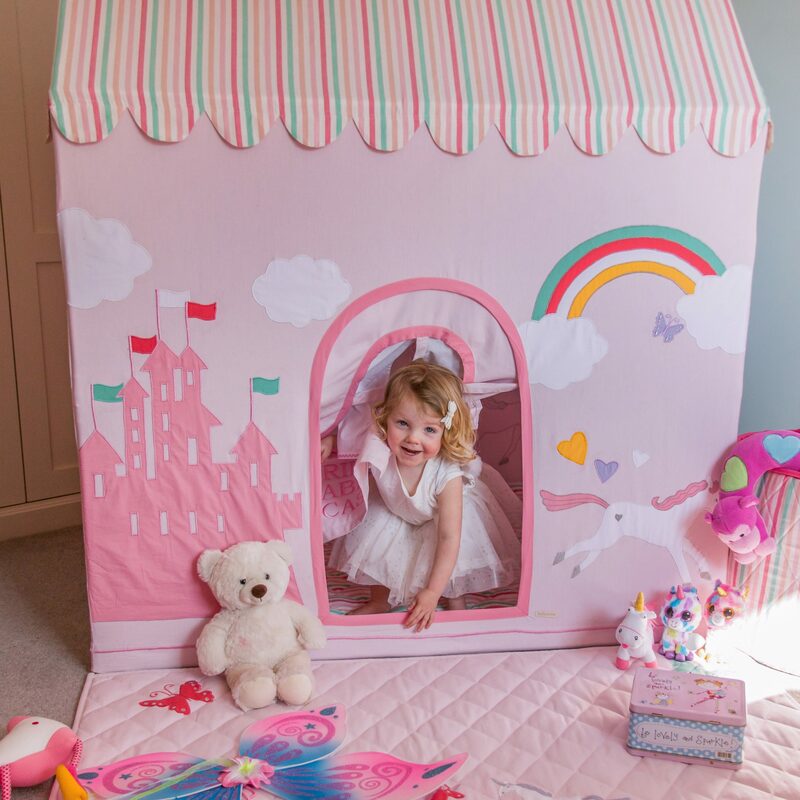 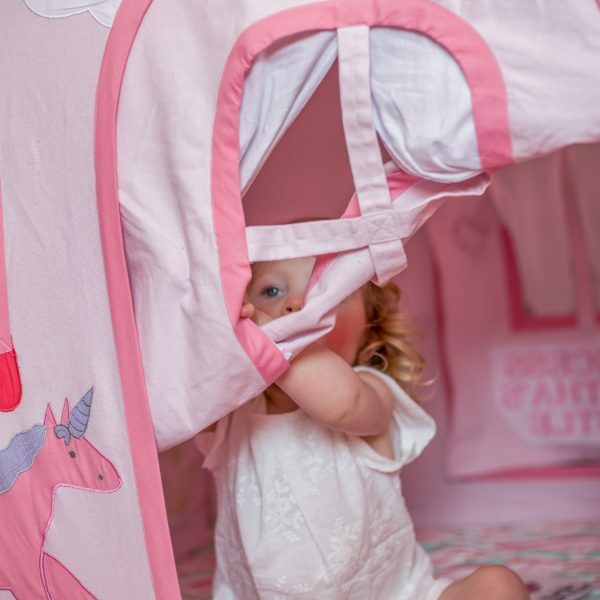 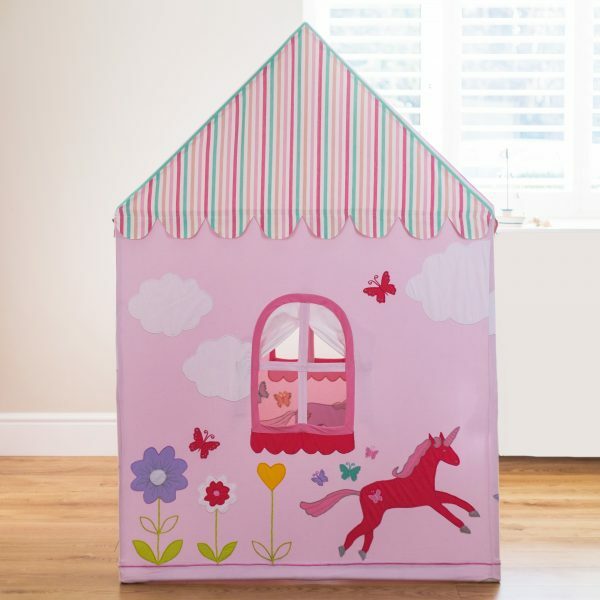 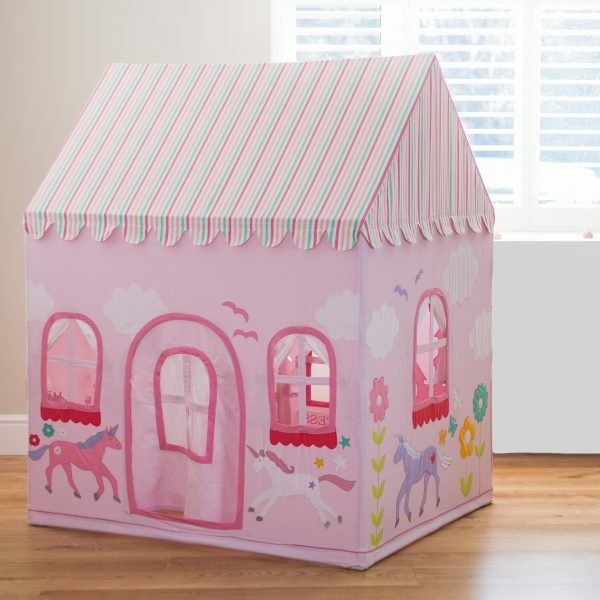 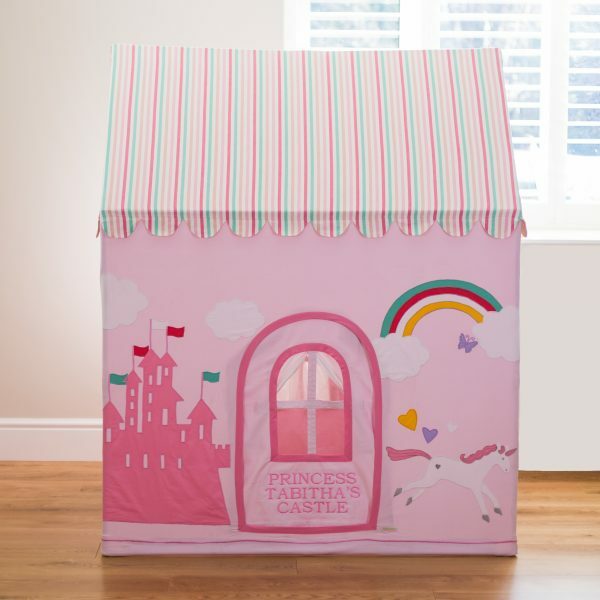 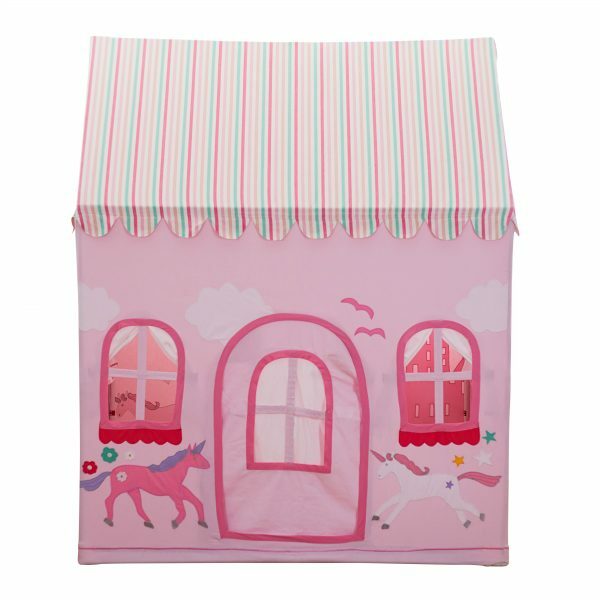 The Princess Castle and Unicorn children’s cotton playhouse is a magical fairytale playhouse fit for Queens and Princesses who dream of having their very own pretty pink castle. 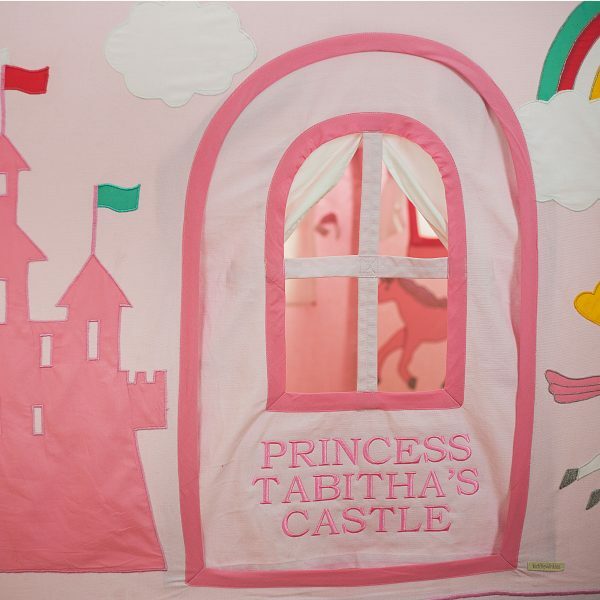 The front is adorned with a majestic pink turreted castle, with flags flying, to announce royalty is now in residence. 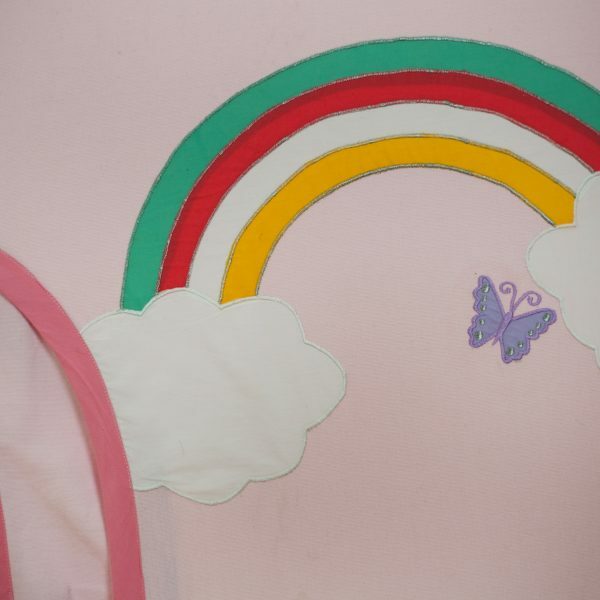 A brightly coloured rainbow peeps out from white fluffy clouds as unicorns frolic within the castle grounds, manes shimming silver as they chase the butterflies through the flowers. 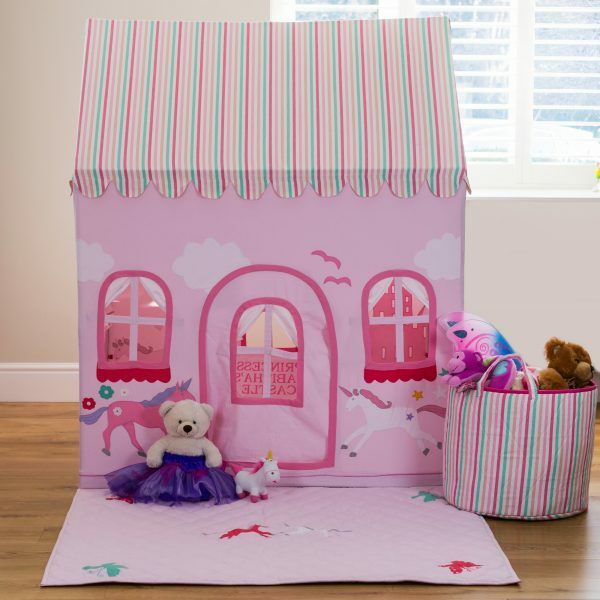 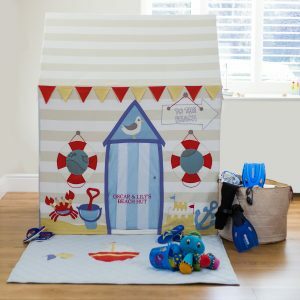 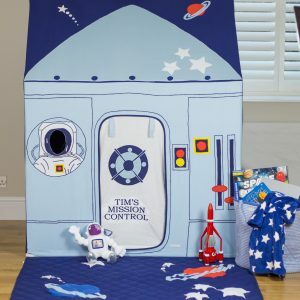 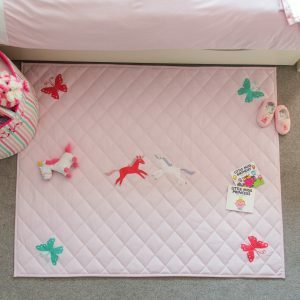 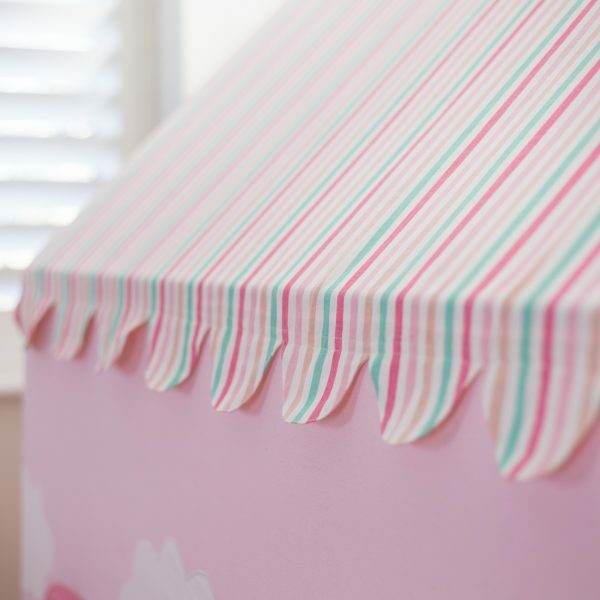 A co-ordinating floor quilt and toy storage basket are also available to complete the look.